The earliest DeMolay emblem was a shield and a single diagonal sword. 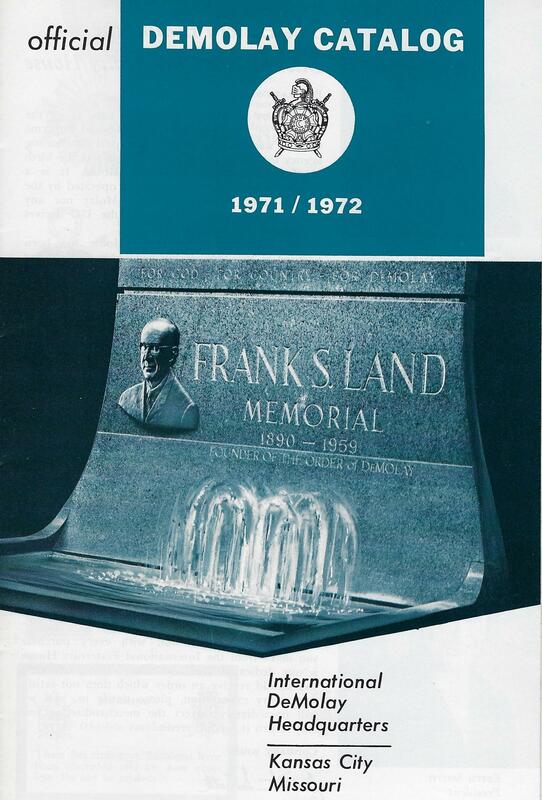 It was abandoned quickly when “Dad” Frank S. Land realized he didn’t own a copyright for it, and therefore, anyone could manufacture and sell it. With the next emblem, in 1920, he licensed several manufacturers, among them the C. E. Ward Company of New London, Ohio-- to provide jewelry, costumes, props, and administrative supplies. 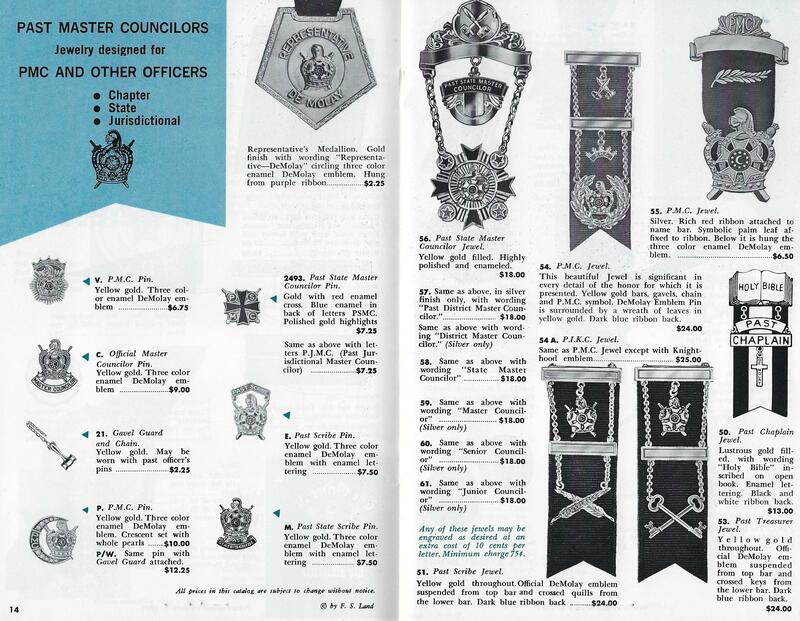 The C. E. Ward Co. was a well-known supplier to Masonic and other fraternal groups. They produced their own pocket-sized catalog and various order forms and postcards. 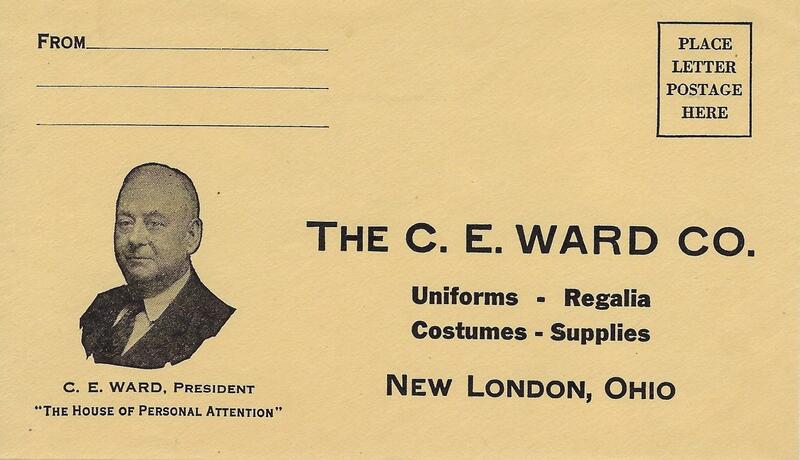 This post card is unusual in that it includes a picture of Mr. C. E. Ward. 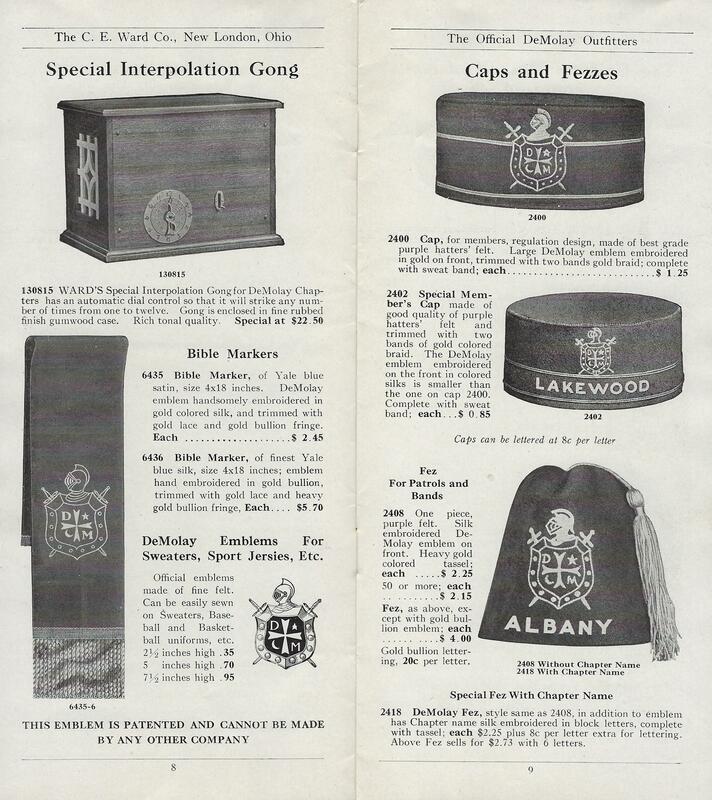 By the time the new fraternity-style emblem of 1931 was designed, Dad Land and the general membership were frustrated by the varying quality of DeMolay merchandise, and in 1934 he licensed a single supplier to sell ALL items for DeMolay. That is when the International Fraternity House was created as a separate company, not directly affiliated with DeMolay. By 1948, the International Fraternity House was operating from the carriage house behind the DeMolay Headquarters office. 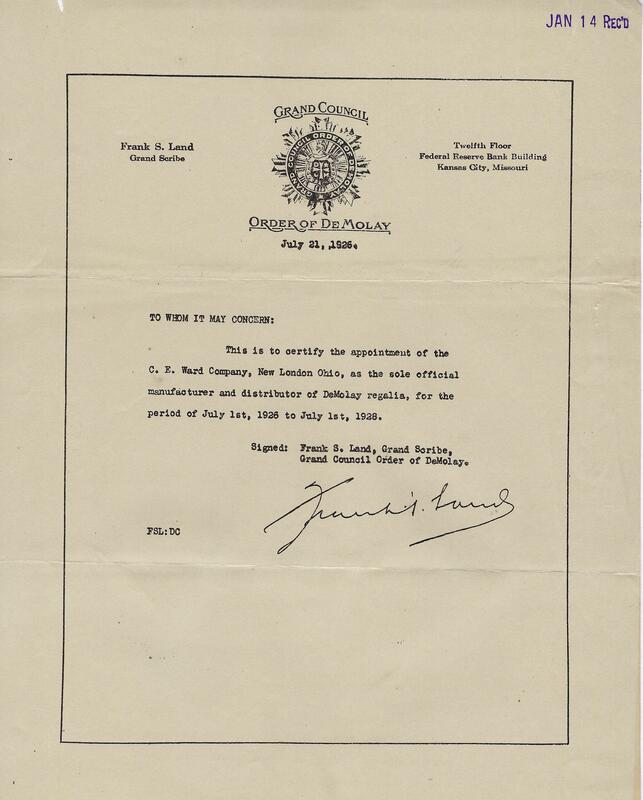 Mrs. Edith Smith bought the business at Dad Land’s urging, to provide better service to the Chapters. In 1949 Dad Land redesigned the emblem again, and that is the emblem we use today. 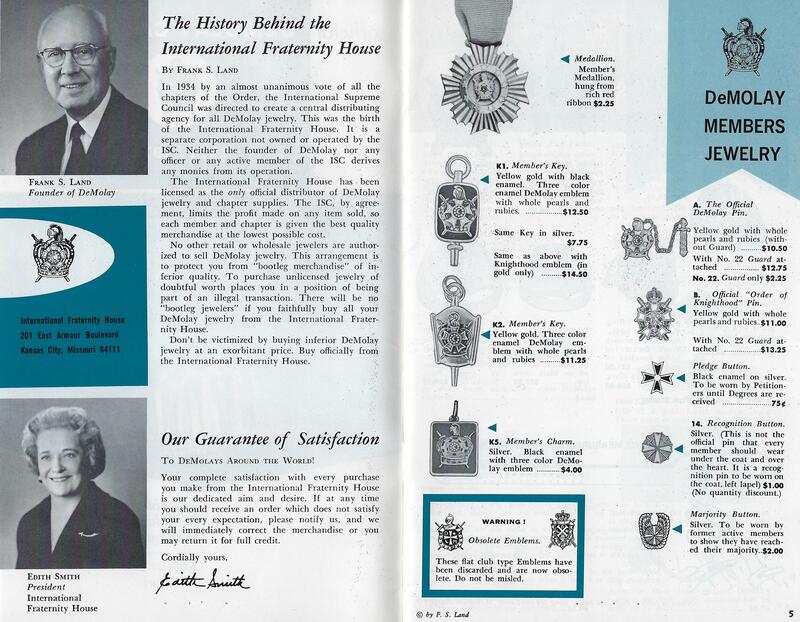 When Mrs. Smith died in 1977, the Supreme Council purchased all the remaining shares of the corporation and acquired the International Fraternity House inventory and business. 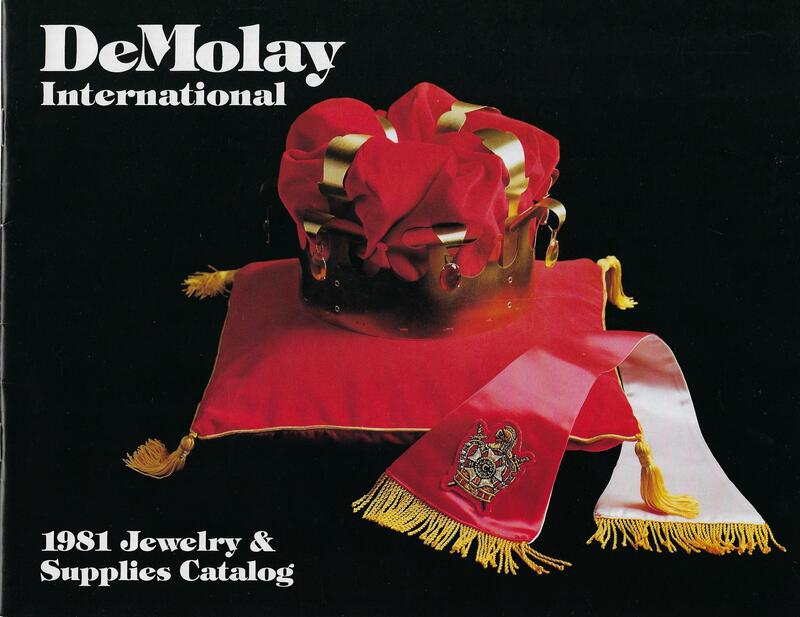 For the first time in DeMolay’s history, all proceeds from the sale of jewelry, regalia, costumes, supplies and clothing would serve DeMolay International. In 2016, to reduce inventory and staff expense, the Supreme Council again outsourced a majority of the sales items, reserving the sale of honors regalia to the Service and Leadership Center Staff. 1.) 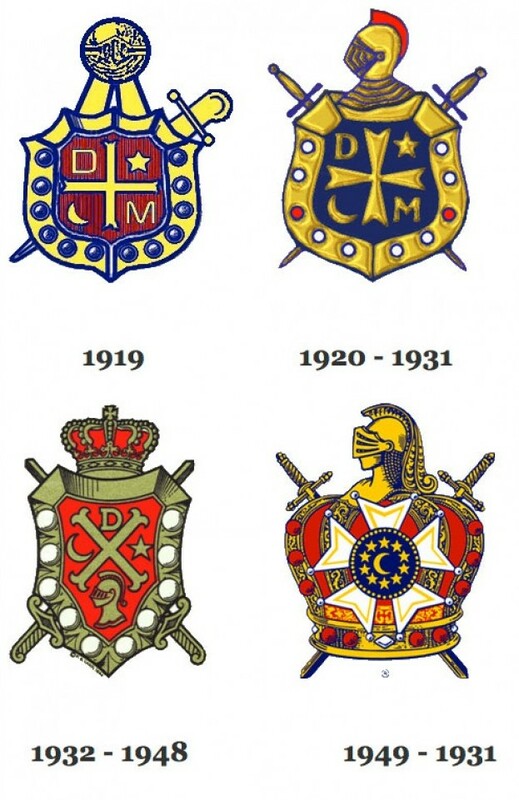 Why do you think “Dad” Land personally owned the copyright for the first 3 emblems he designed for DeMolay? 2.) Would you have thought less of Dad Land if you were told he was making a profit off the sales of emblems he owned? 3.) We actually know that he was NOT making a personal profit, and he owned the copyright to PROTECT the emblem and to MAKE SURE that all the profits from the sale of items bearing a DeMolay emblem would go to the Order of DeMolay. Does this surprise you? 4.) 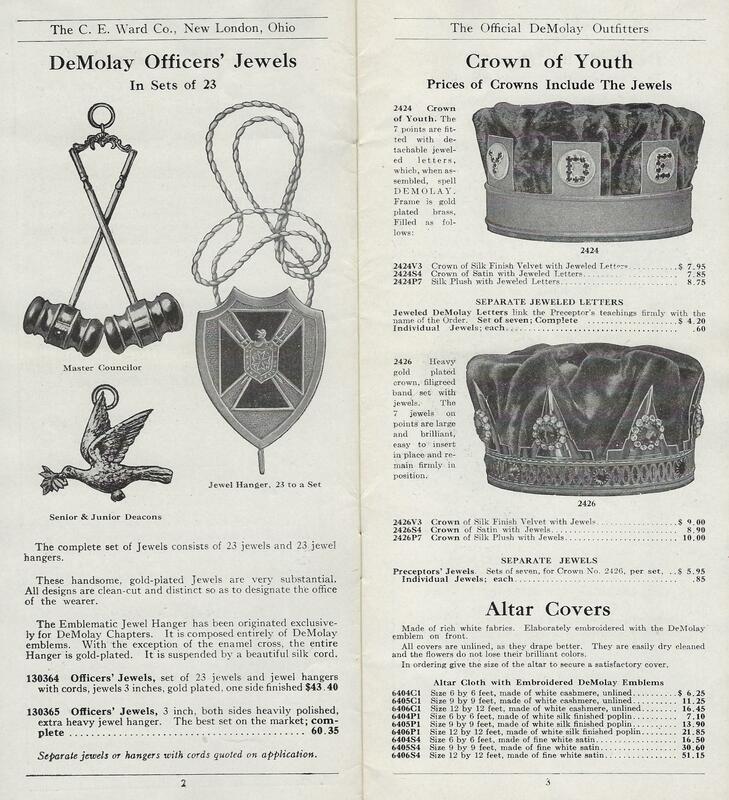 From the pictures, you can see how prices grew for many DeMolay items over the years. 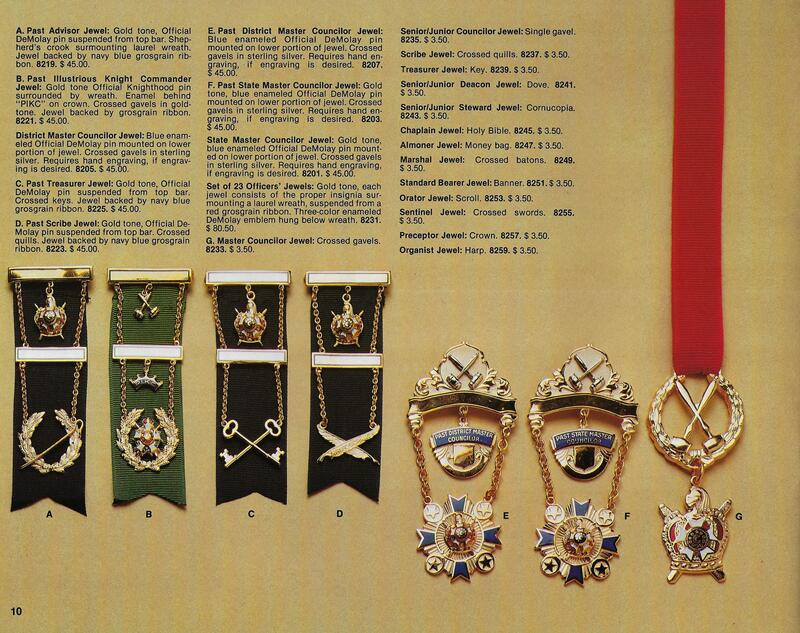 Do you think DeMolay jewelry has always been priced too high for most members to own and enjoy it?